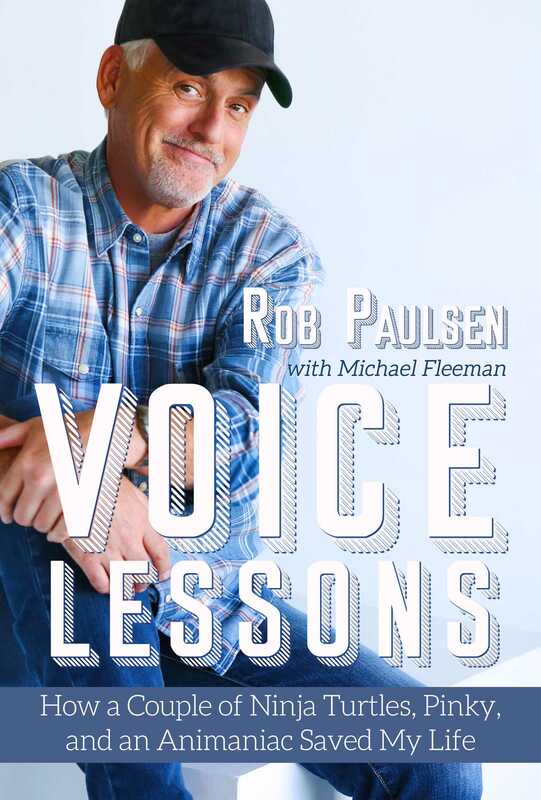 Rob Paulsen is one of Hollywood’s busiest, most talented, and most passionate performers. If you don’t know him by name, you will know him by the many characters he has brought to life: Pinky from Pinky and the Brain, Yakko from Animaniacs, the tough but loveable Raphael from the original animated Teenage Mutant Ninja Turtles, and many more. So you can imagine how terrifying it must have been when Rob was diagnosed with throat cancer, putting his entire livelihood in jeopardy and threatening to rob the world of all his loveable characters that filled our youths and adulthoods with humor and delight. Aside from his many current and past roles as a voice actor that total to over 2,000 credits, Rob Paulsen is the creator, host, and producer of the highly successful Talkin’ Toons podcast at Nerdist. He has received a Daytime Emmy, three Annie Awards, and a Peabody. In addition to his many appearances in the convention circuit, he is currently on tour with Animaniacs Live. Rob also frequently speaks on behalf of several charities benefitting children and military veterans.